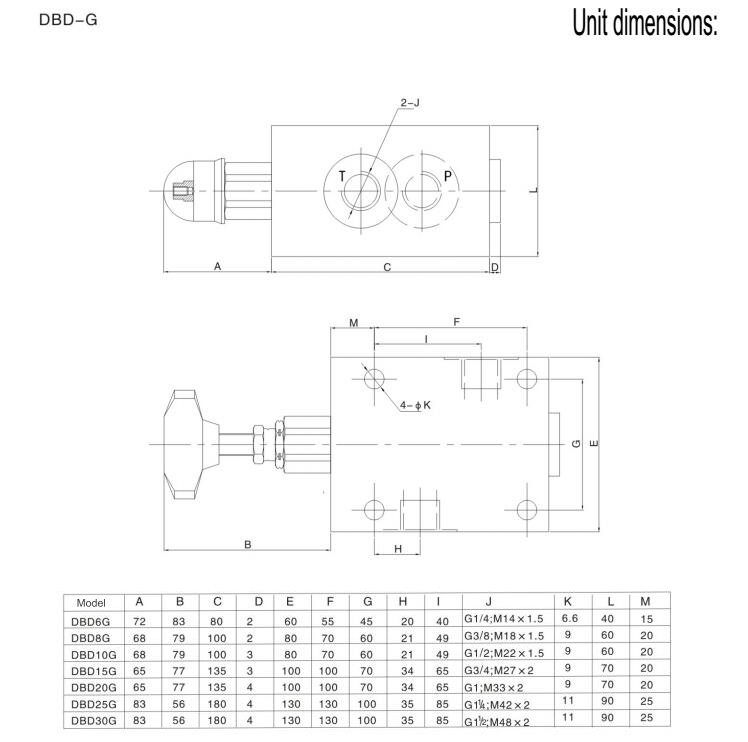 DBD pressure relief valves can direct operated on poppet valve seats. 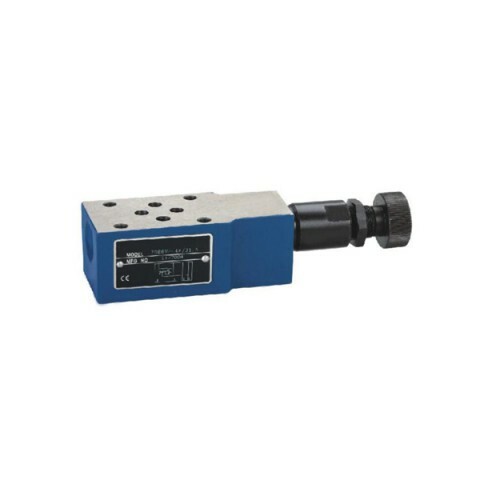 And can be used to limit pressure in hydraulic system. 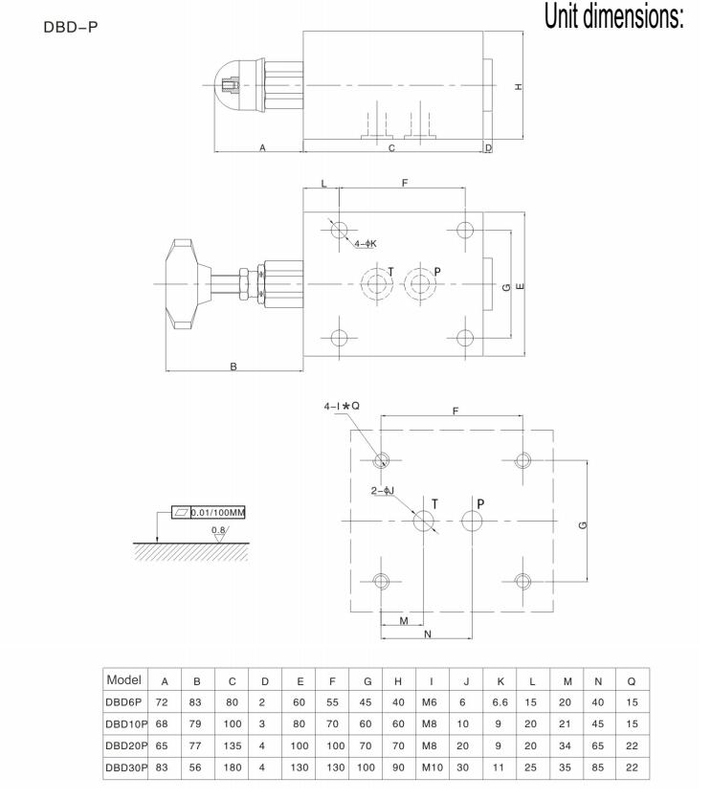 The valves mainly consists by sleeve (1), spring (2), poppet with damping spool (3) (pressure stages 25 to 400 bar) or ball (4) (pressure stage 630 bar) and adjustment element (5).The setting pressure is infinitely variable via adjustment elements (5). The spring (2) pushes the poppet (3) or ball (4)into the seat.P channel is connected to system. The pressure present in system is applied to poppet area (or ball). 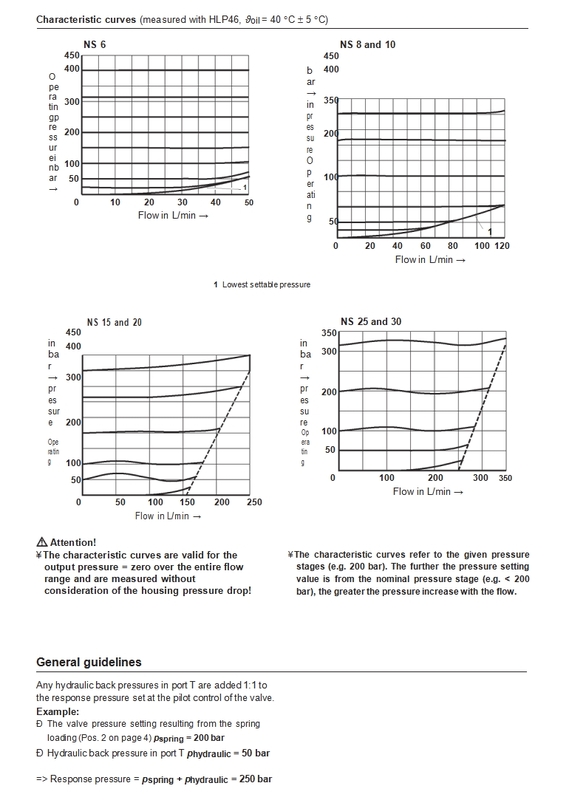 If the pressure in channel P rises above the value set pressure of spring (2), poppet ⑶ or ball ⑷ opens against spring (2). 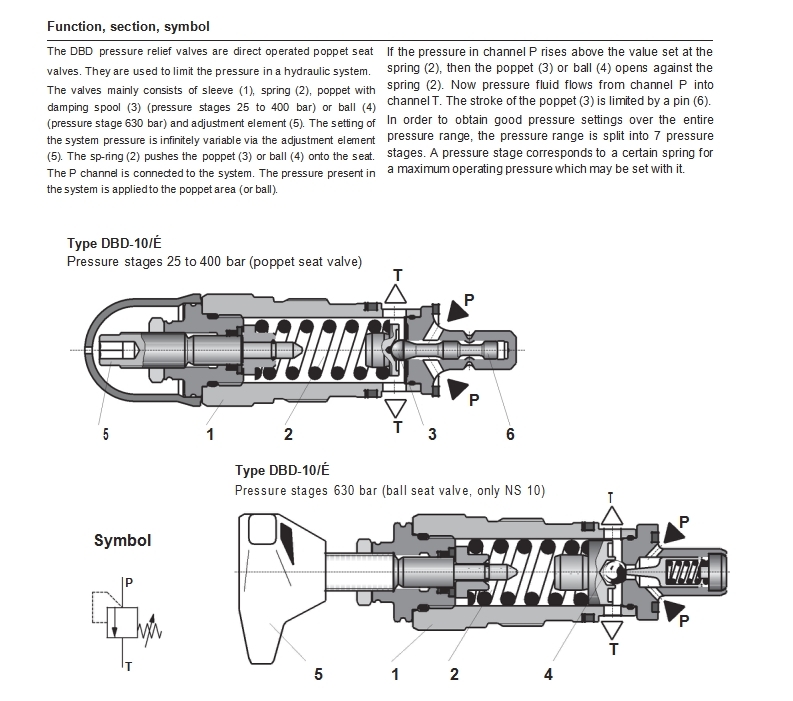 The pressure fluid flows from channel P into channel T. The stroke of the poppet (3) is limited by pin (6). 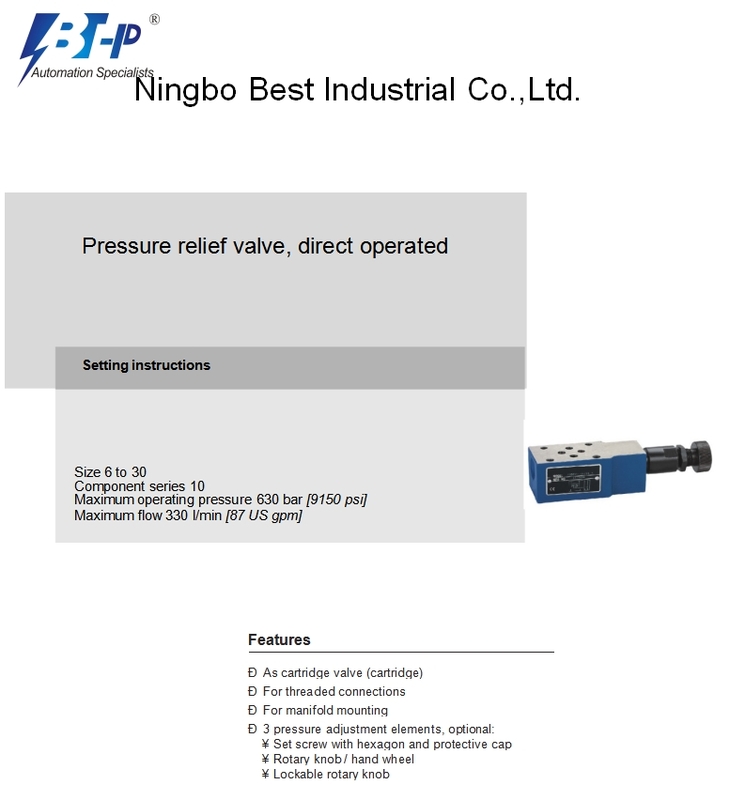 In order to obtain good pressure settings through entire pressure range, pressure range is split into 7 pressure adjustment range. 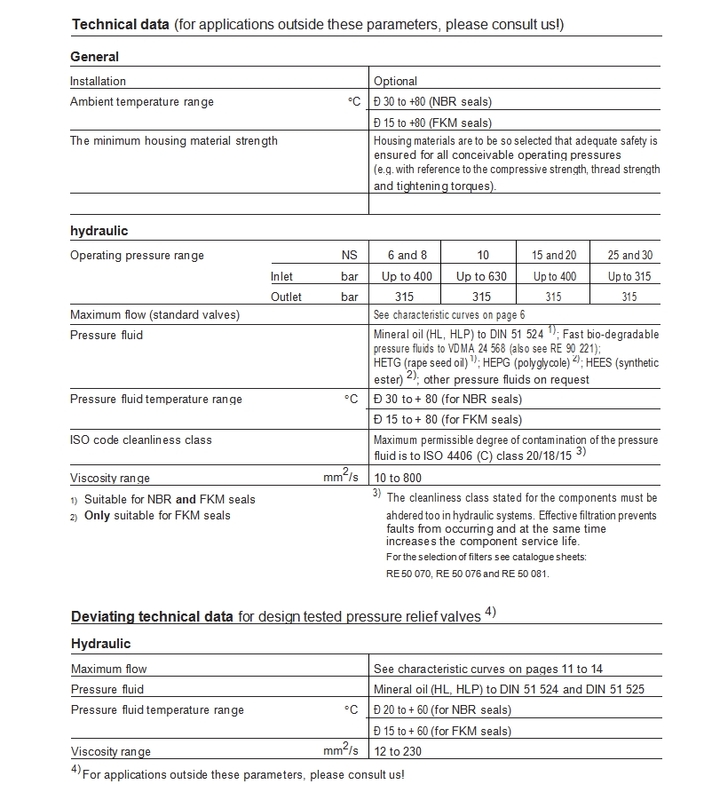 Pressure range corresponds to the certain spring’s setted maximum operating pressure. 1.AC electromagnet voltage is generally 220 volts. The characteristic is that the power is bigger, the commutation time is short, and the price is low. But when the spool jammed or can’t absorb the core not, the electromagnet is easy to burn out because of the current exceeds limit. So the working reliability is poor, impact when action, life expectancy is relatively low. 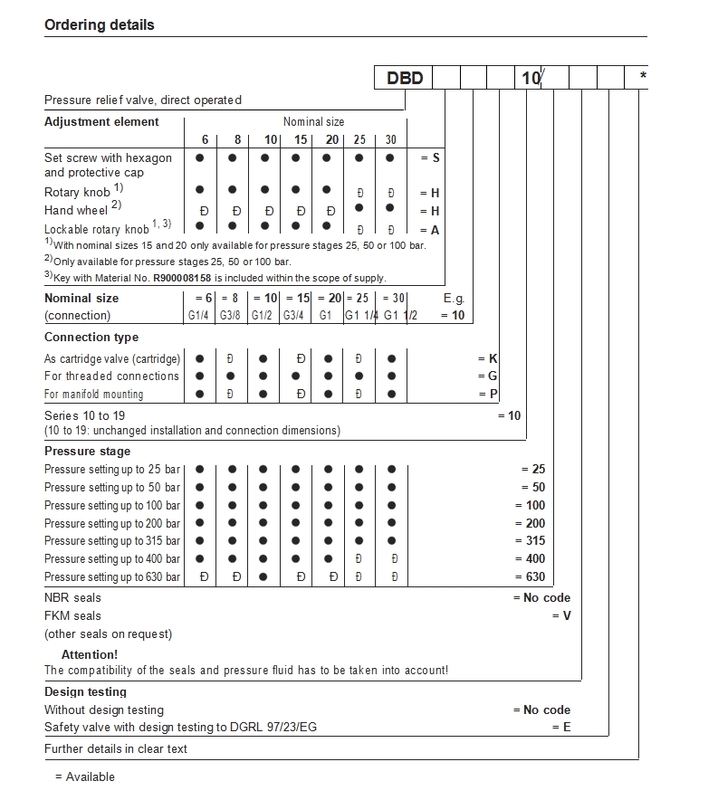 2.DC electromagnet voltage is generally 24 volts. Its advantages are work reliably, won’t burn because of the spool jammed, long life, small volume, but starting power is smaller than AC electromagnet, and need rectifier equipment in the absence of DC power. 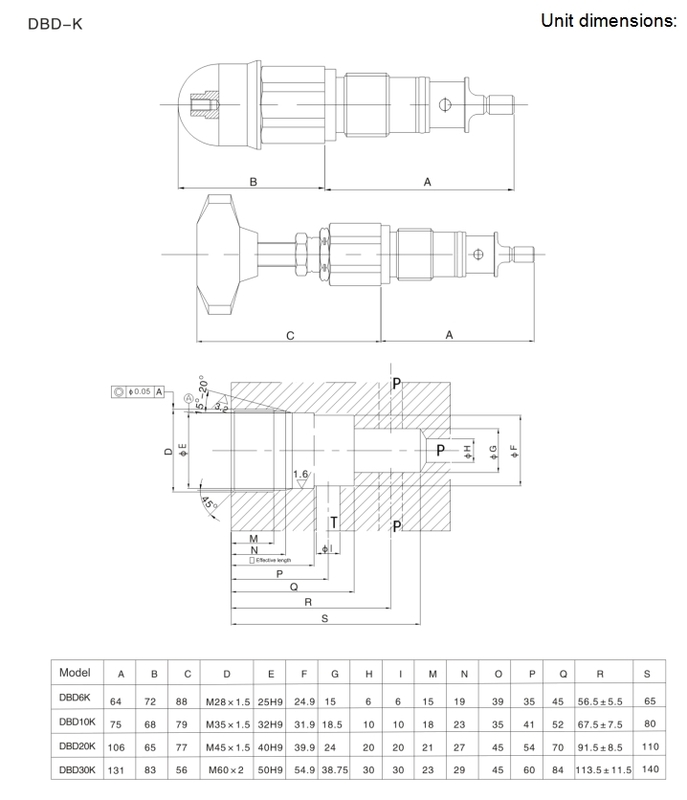 In order to improve the working reliability and the service life of the hydraulic pressure regulator valve, in recent years, wet electromagnet is increasingly widely used, need no seal between the electromagnet and the push rod of the hydraulic pump relief valve, eliminate the O-shaped sealing ring friction, its electromagnetic coil outside with engineering plastic sealing directly, so as to ensure the insulation, and beneficial to the heat dissipation, so the work reliable, small impact and long service life.